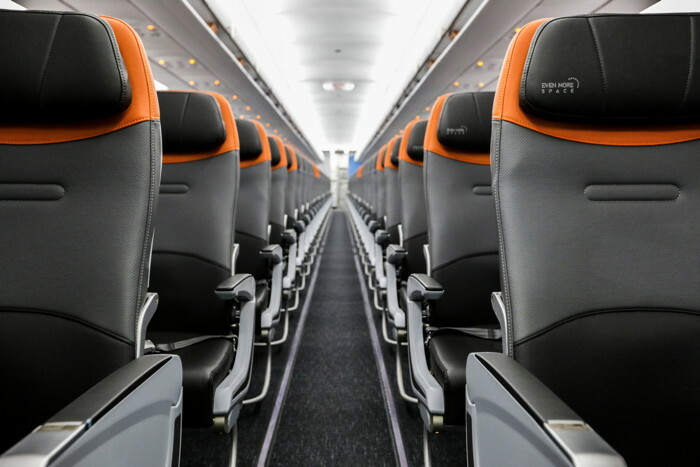 The first phase of JetBlue’s A320 interior cabin restyle began in spring 2018 and modernized the airline’s so-called “classic interiors” with products that matched those found on the airline’s newer A321 aircraft – features such as more modern seats and larger seatback TVs. For most of the airlines 100+ destinations the A320 restyling will bring the upgraded JetBlue experience to their city for the first time. A major focus of the restyling is keeping customers connected throughout their flight, including a new inflight entertainment system, high-definition seatback televisions, in-seat power outlets with USB ports and continued free gate-to-gate Fly-Fi high-speed internet with an expanded coverage area – including throughout the Caribbean and Latin America where Fly-Fi had not been available until now.